I did it! 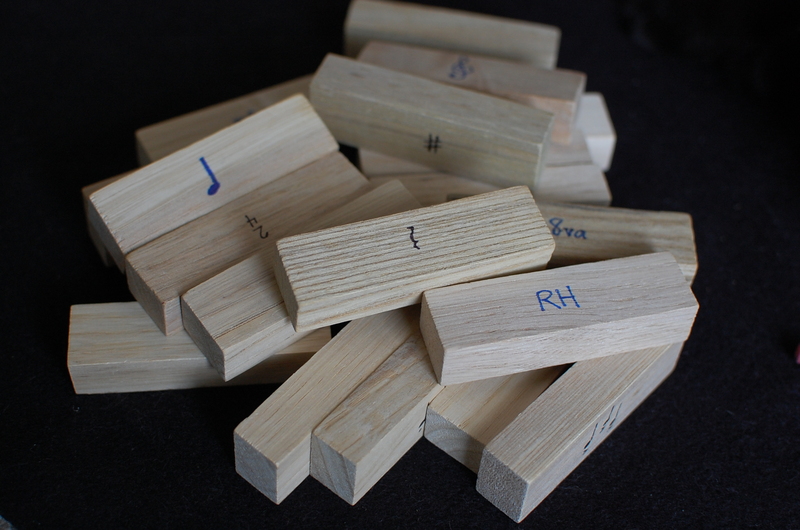 I created my own Musical Jenga game. 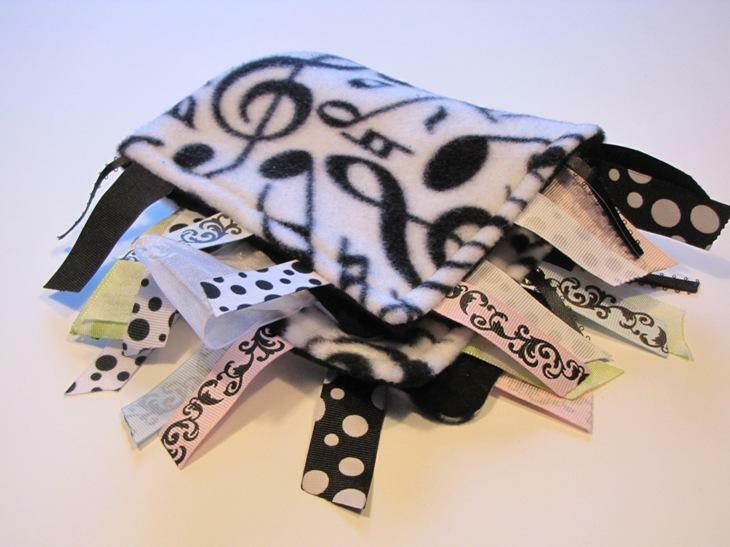 Congratulations to the winner of the music blanket, selected via random number generator……. Congrats, Beth! I will be in contact via email to get your mailing address. Even if you didn’t win, there’s still a chance for you to get a shot at a music ribbon blanket like the one pictured here. There’s another one for sale my sister’s Etsy shop, and she’s created a special coupon code just for Color In My Piano readers for 15% off your entire order from her shop! Just enter “MUSIC4U” when you checkout. Browse her shop by clicking here. Thanks to you all for the suggestions and words of thanks for Color In My Piano! I will be taking your thoughts into consideration for the future. iPhone & iPod Touch Apps Suggestions, Anyone? My husband gave me an iPod Touch for Christmas, and I’ve gradually been downloading various apps to personalize it for the things I do. It’s very exciting! I love that I can access my email and the internet easily while I’m on campus, without going to a computer lab or hauling my laptop along with me for the day. It’s been such a convenience! I’ve also been looking for music-related apps to use in piano teaching and for my own practicing. 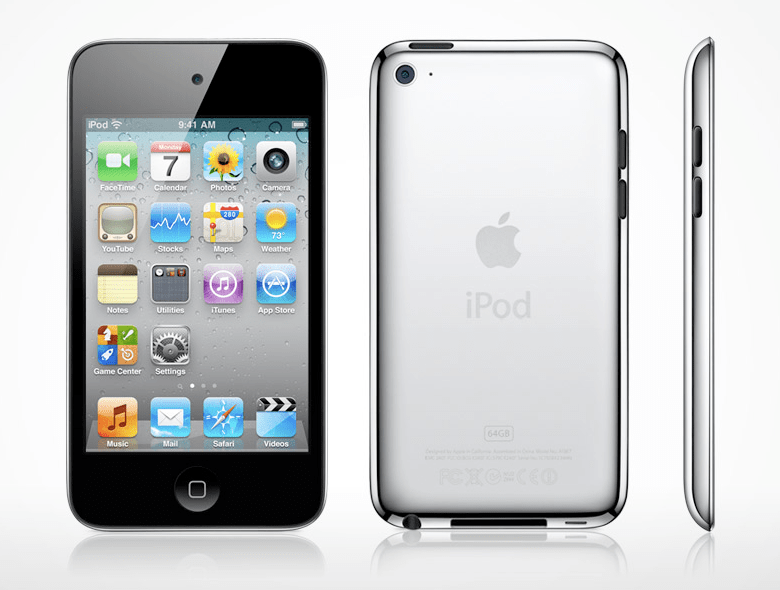 Do any of you iPhone/iPod Touch owners have some favorite apps? Eventually, I’d like to compile a list of good music apps and post them here — I’d love to get your help with some suggested apps to try out! Well, my master’s recital has come and gone, and IT FEELS GREAT! Compared to my undergraduate recitals, this recital was a much greater success. I felt much more prepared and didn’t experience as much performance anxiety as I had expected to either. I was actually able to enjoy myself throughout the process! My family came up to see the recital, which meant a lot to me. It was great to see them and spend some time with them after the recital. 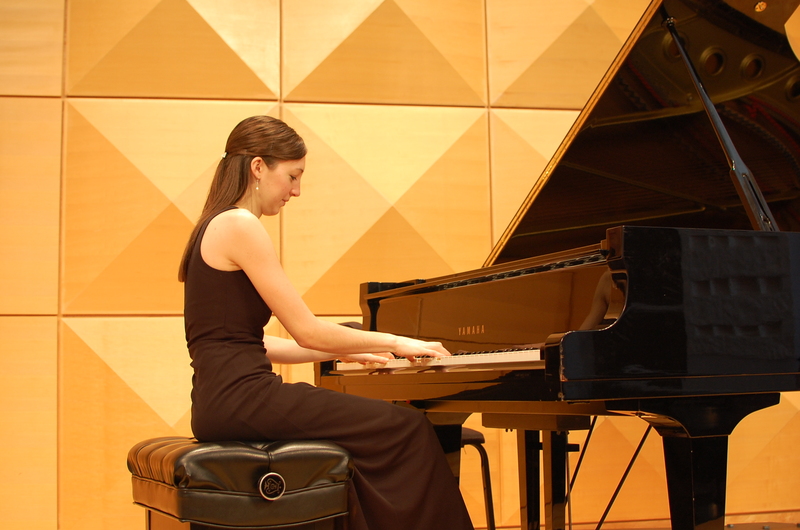 This week is a busy week for me – my Masters recital is on Saturday (wish me luck!) and so I am taking most of this week off from blogging. I did want to let you know, however, that I am extending the giveaway of the music blanket which my sister made. The new deadline is January 27 at midnight. There aren’t many entries yet – so the chances of winning are pretty high! Visit the original post to view the entry requirements. Please consider entering the giveaway and visiting my sister Heather’s Etsy page here to view all of her other wonderful handmade items. She is new at the whole Etsy thing, but has been having a lot of fun doing it so far! Have a wonderful week, all! Thanks to those of you who’ve already left feedback on the facebook page as part of this giveaway. I really appreciate hearing suggestions for ways to make Color In My Piano even better! Can you believe it?? TWO giveaways in the same month! 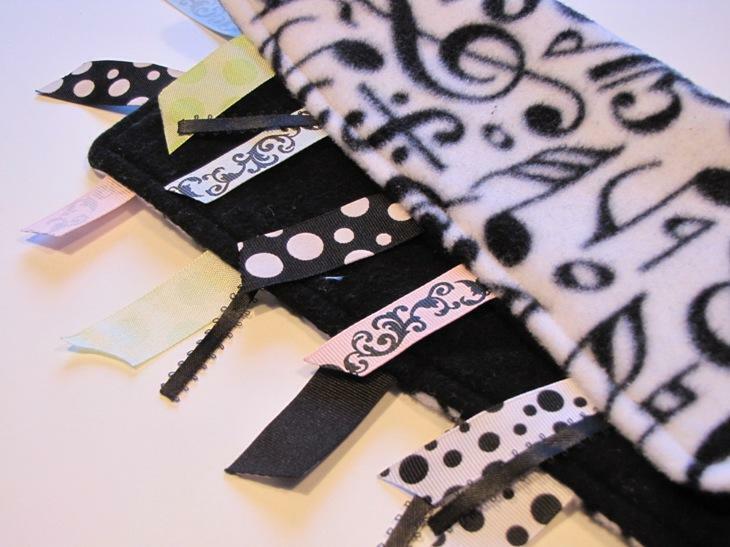 My sister made the music-themed ribbon blanket pictured here. She is selling similar blankets on her Etsy page. I thought her ribbon blankets were so precious that I requested that she make a music one that I could give away here on Color In My Piano! You’ve won a magnet set! Winners, please email me at admin[at]colorinmypiano.com with your home address and I will get them mailed out! I got the idea for this craft from Kara’s Creative Place blog (thanks for the brilliant idea, Kara!). 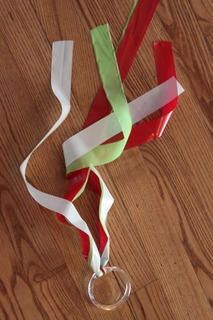 Ribbon Rings (Kara’s example is pictured at right) are a fun prop for movement activities with young students during group lessons, camps, or early childhood music classes. Kids love fluttering the ribbons of these props while they do the motions to various songs. You can buy similar ribbon rings at musicmotion.com…..or you can make your own! Reminder: Enter the Giveaway before Midnight Tonight! Just sending a quick reminder out – don’t forget to leave a comment or two in order to enter the magnet set giveaway! Read all the details here. The deadline is tonight at midnight. The three winners will be announced tomorrow.